Labor leader calls for Knesset elections to be held at the earliest date possible. Labor leader Avi Gabbay on Friday called for Knesset elections to be held in March, the earliest date possible. His call came as Prime Minister Binyamin Netanyahu continued his efforts to keep the coalition alive and avert early elections following the resignation of Defense Minister Avigdor Liberman. 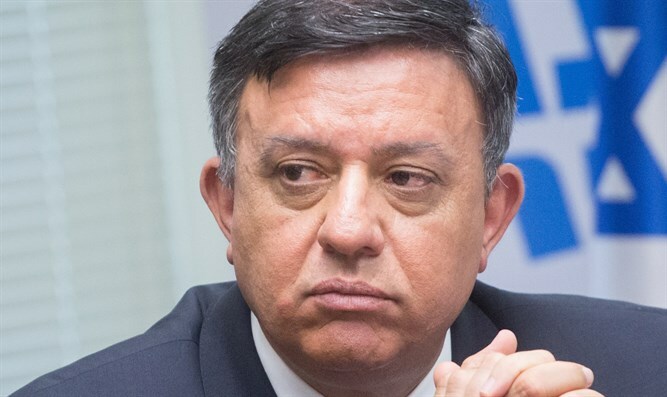 “Israel should go to elections in March, as early as possible,” wrote Gabbay on Twitter. “We need elections because Israel wants change. Because the time has come for a government in Israel that offers hope, which knows that it is possible to change and wants to change. We need elections to bring Israel back to the path of initiative and courage, instead of a path of despair and fear. Change can be made,” he continued. “Any postponement in the date of the election will create a transitional government with an economy of elections and which will make politically-based decisions instead of decisions that are made for the good of the public,” concluded Gabbay. Earlier on Friday, Meretz chairwoman MK Tamar Zandberg said her party would submit a bill to dissolve the Knesset in the coming week. "This government must be disbanded and elections held as soon as possible. The Israeli public is fed up with loyalty laws and nationality laws, incitement, the marking of enemies and the instigation of wars," Zandberg said. Meanwhile, Netanyahu spoke by phone on Friday afternoon with the heads of all the coalition parties, asking them to help him avoid what he said could be potentially disastrous early elections. The discussions between the coalition party heads will continue after the Sabbath. It was reported earlier that Netanyahu had told Jewish Home chairman Naftali Bennett during a meeting that he will not appoint him as defense minister as he demanded. Finance Minister and Kulanu chairman Moshe Kahlon had told Netanyahu that he would prefer to have a snap election and opposed Bennett's becoming defense minister.